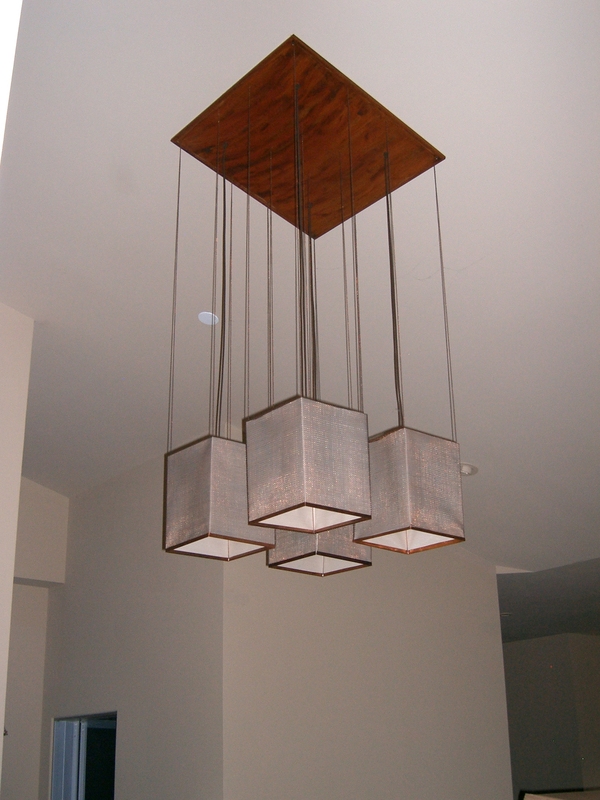 Goals and Vision: An angular fixture with four elements worthy of the entry way. Specific challenges: Adjusting the hue of the finished project to coordinate with a wide array of materials within its sphere of influence. Using materials as thin as possible.